Our expert team is experienced in Water, Mold, Flood, Asbestos and Fire disaster cleanup and we handle it all. At DCS Denver, our expert technicians can handle the entire disaster cleanup and restoration process by cleaning up any water left sitting in your home, and drying your home completely. We understand that a disaster is stressful enough, without having to worry about paying someone to check it out. Call DCS Denver today, we offer Free Estimates on Water, Asbestos & Fire Damage Cleanup Projects. Call a professional for all your asbestos needs. Disaster Cleanup Services of Denver is happy to provide certified asbestos removal services to all of Denver and surrounding areas. When disaster strikes, DCS Denver is the first call to make for all disaster cleanup. DCS Denver handles all aspects of disaster cleanup, including water and flood damage restoration and cleanup. Water can cause massive damage to your home, and the longer it sits, the more damage it will do. DCS Denver specializes in water damage cleanup and restoration, so you can count on them to do the job right, the first time. Many other companies in Denver will do a mediocre job in cleaning up the water after a frozen pipe has burst, which can cause other problems, such as mold damage, or even structural damage, which can affect the integrity of your home. Anthony and Chris were absolutely fantastic to work with! They provided great and timely service despite the fact that our damage happened during Broncos championship game and most businesses were closed. Disaster Cleanup Services was awesome. I was just blown away by my basement flooding, and they assured me it would be ok and they would take care of it. I live alone and didn’t have anyone around to handle it, so they were very helpful. I can’t say enough good. We were absolutely happy with Disaster Cleanup Services. A pipe broke upstairs in our rental unit, and water came down through the bathroom, walls, and garage. This was during a time when there was a lot of other flooding going on in the area, so I was surprised. We had an emergency situation, we were putting our house on the market but there was some water damage to one of the walls. They came out within the next couple days, fixed the problem and we were able to sell our home very quickly. They provide superb service. I used Disaster Cleanup on 2 different occasions in Colorado. They were very prompt the price was nice and I appreciated their professional demeanor. A highly reputable company. Thankfully I have only had to use Disaster Cleanup Services the one time when our main floor and basement were completely flooded. They went above and beyond in every way and far exceeded my expectations. They helped us so much with drying everything out. 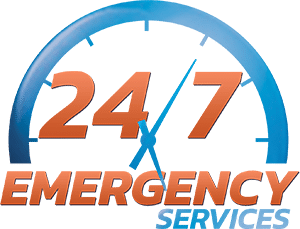 DCS Denver is the number one choice for the people in Denver, not only because they do the job right the first time, but also because we have some of the fastest response times in the Denver area. Why sit around waiting for that company for hours, when one call to DCS Denver will have a tech out in less than an hour? Our techs are very courteous, and will treat your home as if it was their own, making sure to clean up any messes, and not tracking dirt through the home. DCS Denver works with all major insurance companies, which means less of a headache on your end.